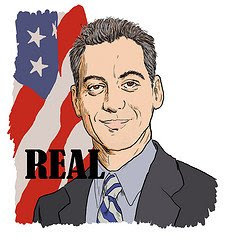 Mr. Emanuel acknowledged in an interview Friday that a stereotype of him as a relentless hothead has some factual basis. But it is an exaggerated or outdated picture, he said. Earlier today, the Louisiana Legislature through the Revenue Estimating Conference accepted a shortfall in state generated revenues of $341 million this year and predicted a shortfall of $2 billion for next year. This reduction in general fund revenues is directly related to losses from sales taxes, personal income taxes, the repeal of other state taxes and declining revenues from energy markets. To address the budget shortfall, all public universities, colleges, community colleges and management boards have been informed by Dr. Sally Clausen, Commissioner of Higher Education, to prepare for a mid-year budget reduction of $109 million or 7.8 percent. This reduction translates into a shortfall of $5,277,249 for the UNO campus. I was also informed this afternoon that the University will be required to submit our budget reduction plan to the LSU System by close of business tomorrow. In response, I have called an emergency meeting of all Deans and Vice Chancellors to determine how best to meet this new challenge. Although I am hopeful that UNO’s actual mid-year budget reduction will be less severe, we must however be prepared if necessary. Any cuts that we make will be strategic cuts---to prepare the University for the future in the optimum manner. I want to assure each of you that I and my administration will continue to do everything we can to ensure UNO’s continued prosperity and growth. We will continue to work with UNO’s key legislators, the Commissioner of Higher Education, our governing boards and the Governor to mitigate the impact on UNO which, as you know, is still recovering from the effects of Hurricane Katrina. Let me stress, the only way we can positively influence our budget is through enrollment growth obtained through increased efforts in recruitment and retention by all members of the University community. One positive opportunity for UNO is the newly proposed formula funding allocation, which for the first time includes factors that recognize and reward our mission as an urban university. Once fully implemented, as we regrow our student population, UNO will be eligible for an increase in funding. The inclusion of these new factors favorable to UNO was the result of a series of meetings with the Governor’s staff and members of UNO’s governing boards. It may be of little consolation, but we are not alone among state funded universities facing budget reductions. Other colleges and universities across the nation are experiencing cuts including the University of Central Florida which just received a 16% budget reduction, the University of South Carolina System which just received a 14.9% budget reduction and the University of Georgia which just received a 10% percent reduction. This trend, coupled with the predicted budget shortfall released today, only serves to remind us that UNO must maintain the core mission of teaching, research and public service and achieve priorities as set forth in the University’s Strategic Plan. As information becomes available about the status of UNO’s funding, I will continue to share it with you.